Wow...that is a big screen! I know you will enjoy the new computer. They do eat up a ton of time getting it up and going. Wow, Happy Birthday indeed!!! I know what you mean about the mouse...ugh! I hate the pad on my laptop so I have an ergonomic roller-ball mouse...keeps my wrist happy and my thumb (which operates the ball) lets me know when I have had to much computer time!! Wonderful birthday gift!!! Yup, been around those computers a long long LONG time and it takes time to get things done. I have 1 PC and the rest of our electronics are Apple. They make things so easy now with the iCloud! You will certainly enjoy your new toy! Love those fabrics!!! Have fun with the new computer. I've never seen a track pad like that. Happy Birthday! 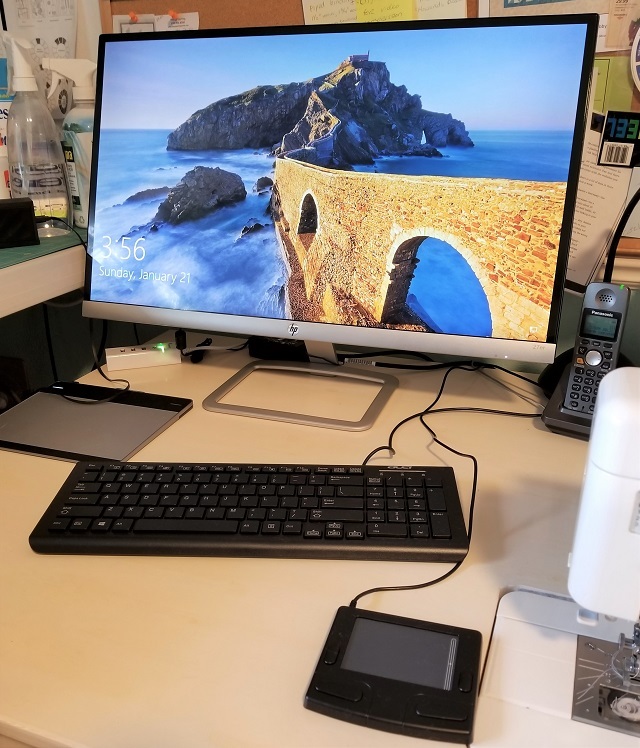 New fabric and fabulous computer! Wow! Love that screen, too! I hear you on the ton of time on the computer...WHAT a gorgeous monitor though holy cow! 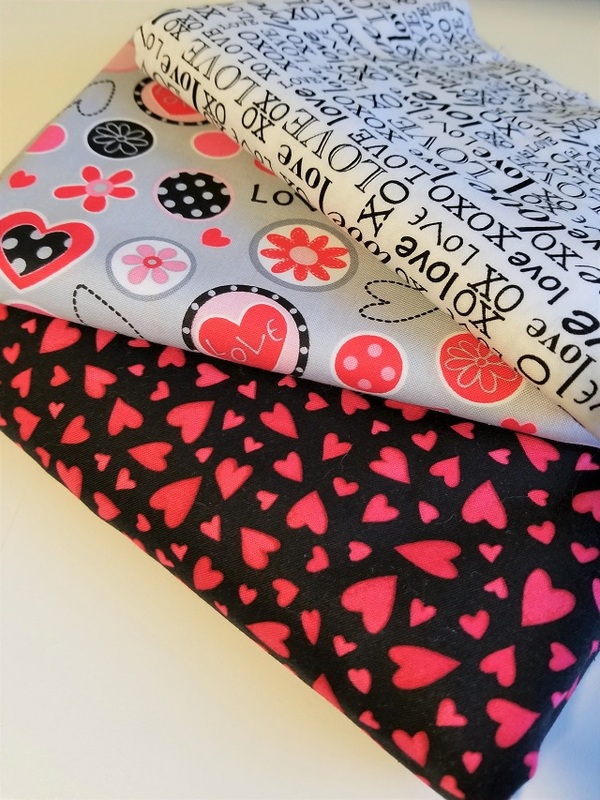 Beautiful valentine fabrics. FART LOLOL love it. When I'm on the computer a lot (like this weekend) I use (I forgot this weekend ugh) my cordless mouse. However it just died so I will be using my corded one in future! Definitely helps on the wrist stress.